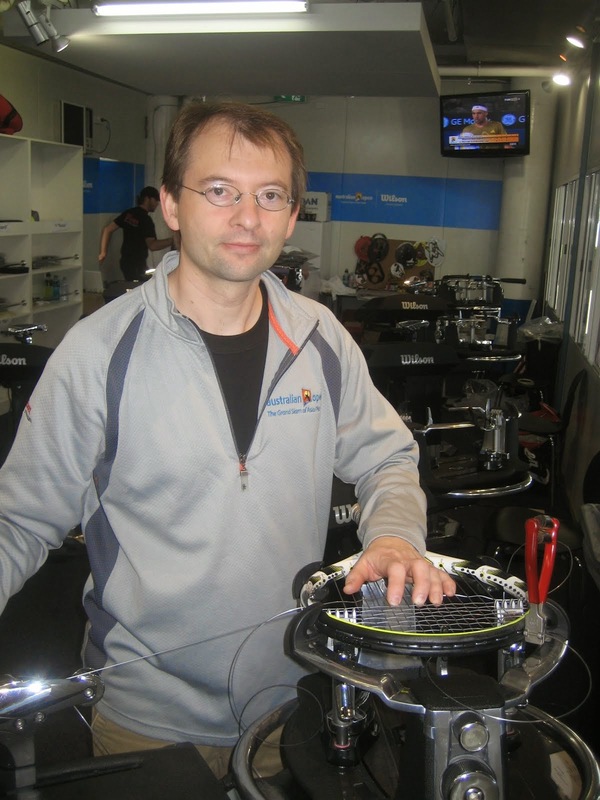 Stringing the Racket : When stringing this frame there are a few things to keep in mind. The frame is 115 square inches and it skips 7, 9 H (head) and 7, 9, 10 T (Throat). So the first thing I will do is take note that I might need a little extra string on the short side due to it being oversize and requiring more length to reach Head to Throat and that with the Throat skipping two cross strings I need to watch this when installing strings. I will take the string in hand and measure approx 3 1/2 lengths of the frame and use this as my short side. I will then check to see if this will be adequate for stringing the mains. Because the short side will end up at the Head of the frame, I will be stringing this frame using the "Around - the - world" stringing method. 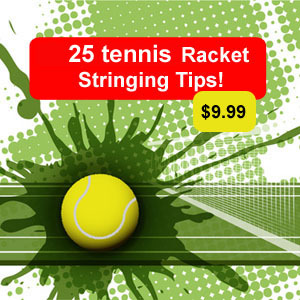 The numbers above correspond to the holes that the 'Main' strings will skip as you install the strings. Generally you will see a small black dote next to the hole indicating that that is a main. The holes for the tie-off are also noted on the frame for reference (FYI - you do not need to use these holes but generally a good idea when possible. ).